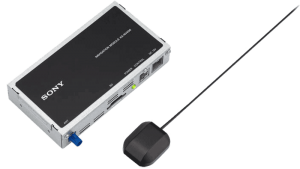 If you are in the Salina area and are looking for a well-equipped multimedia receiver, drop by Nu Image Audio and check out the Sony XAV-AX200 and XAV-AX100. 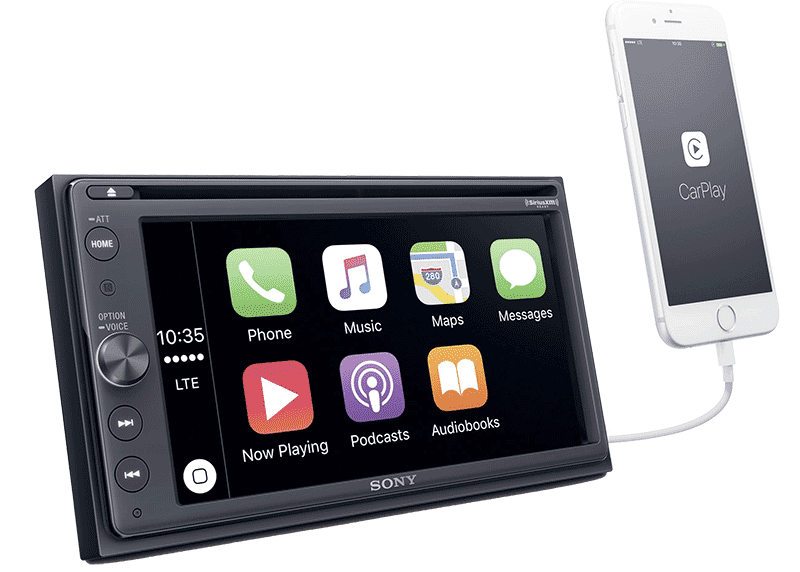 These receivers feature a 6.4-inch touchscreen display and offer both Apple CarPlay and Android Auto smartphone integration solutions. Let’s look at these impressive units in more detail. Distracted driving is responsible for at least 25% of automotive accidents in Kansas each year. Apple and Google introduced their hands-free smartphone integration technologies to make staying in touch with friends, family and coworkers safer. 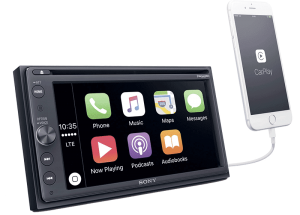 Apple CarPlay and Android Auto use the voice recognition technologies built into your smartphone. They allow you to make phone calls or send text messages while keeping your hands on the steering wheel and eyes on the road. Entertainment options include picking songs stored on your phone by asking for the artist, album or song name. You can also use a streaming service like Pandora, iHeartRadio or Tidal. Both CarPlay and Android Auto provide turn-by-turn navigation using their respective mapping applications to make getting to your destination safer and more efficient. Both radios include an AM/FM receiver, Bluetooth hands-free calling, and audio streaming. A USB port will play MP3, WMA, AAC, WAV and FLAC audio files. It will also play Xvid, MPEG-4, WMV and FLV video files. 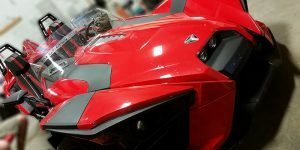 The XAV-AX100 includes a rear-vision camera input while the XAV-AX200 includes three camera inputs. We can add a forward-facing camera to make parking and maneuvering safer. 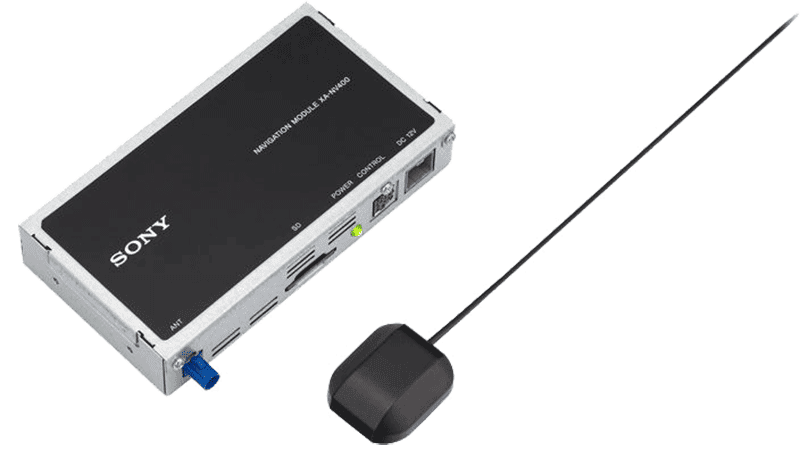 The XAV-AX200 is also SiriusXM ready, so we can add an SXV300 tuner module to provide genre-specific entertainment almost anywhere in the country. The XAV-AX200 includes an optical drive to play CDs and DVDs. 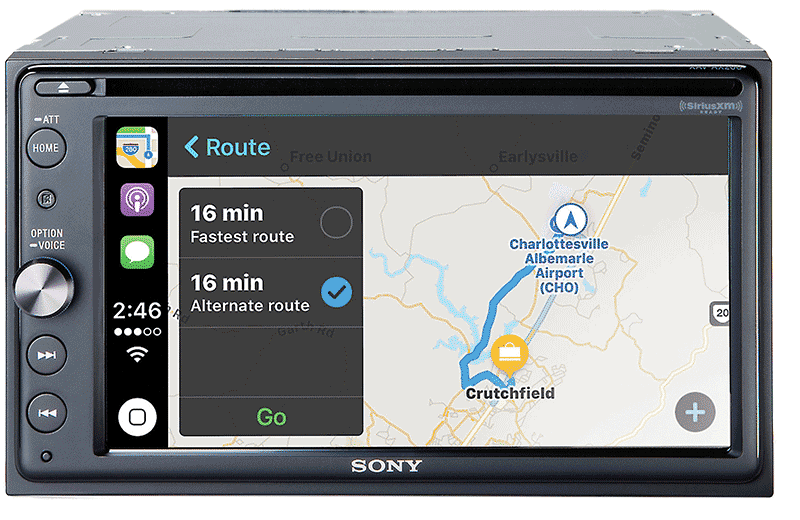 If you travel out of the country or have a limited cellular data plan, we can add built-in navigation to the Sony XAV-AX200 using the optional XA-NV400 navigation module. Both source units include a 20 watt per channel, four-channel amplifier. There are front, rear and subwoofer preamp outputs with a built-in crossover. The XAV-AX100 preamp outputs are rated at 2V while the XAV-AX200 provide 4 volts. 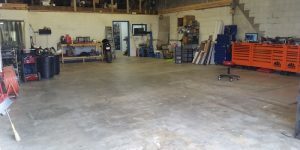 The Dynamic Soundstage Organizer function allows us to adjust the system to provide realistic imaging. A ten-band graphic EQ allows us to fine-tune the frequency response of your sound system for realistic balance. Both units are compatible will all popular OEM steering wheel control interfaces. Upgrade the Technology in Your Vehicle Today. 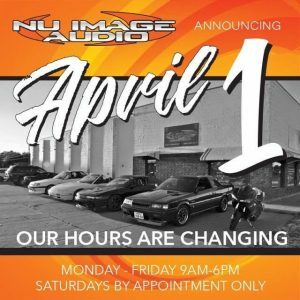 If you are near Salina, drop by Nu Image Audio and ask for a demonstration of the Sony XAV-AX100 and XAV-AX200 multimedia receivers. For more information, send us an e-mail using our contact page.